ZapGirl made a skulls sticker, inspired by my Skullflake. I love seeing what people make using our Free Stuff and my tutorials. 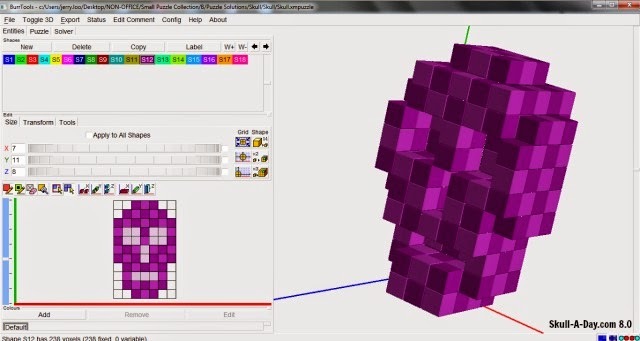 If you've made anything using our free offerings, please submit them to us. Jerry Loo from Singapore, created this 3D Lego skull. 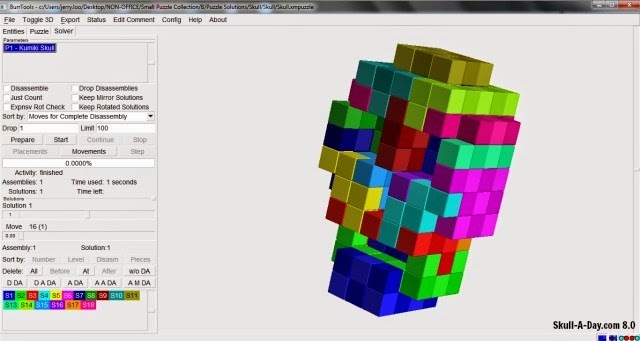 He explained, "It is based on my interlocking skull puzzle design. I am a puzzle collector." I love seeing what people build with Legos. This creation gets added to the growing list of Lego skulls we've featured. 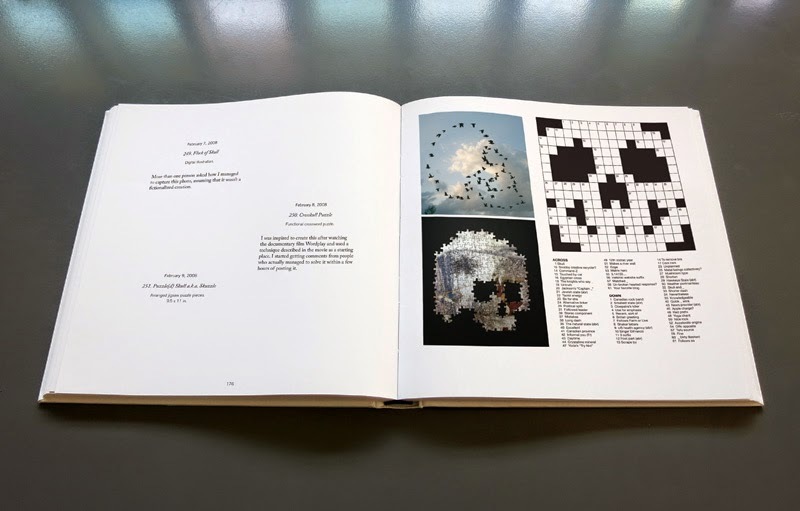 This book can't happen without your help! Pre-order your copy today HERE. And thanks again to everyone who has already donated! Brian, Lindsey, and Loren Miller created this skull cake. I've been in the mood for lots of sweets. I'm sure this colorful icing rich cake would satisfy that craving. It would be perfect for a Dia de los Muertos celebration. 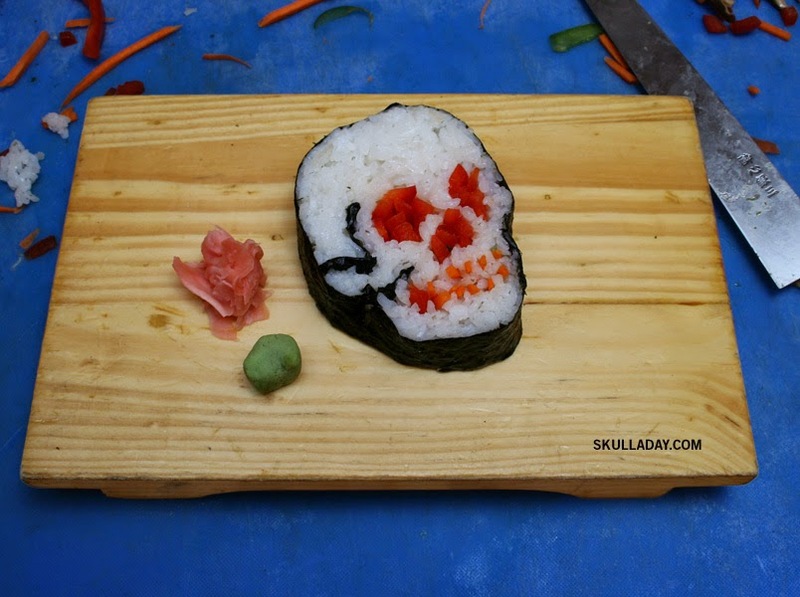 Day 352: Skull Roll by Noah Scalin made at Sticky ToGoGo! If you're in the Richmond, Virginia area join us this Sunday night, June 22, at Sticky Rice on Main Street for food and fun from 8pm to 2am and 5% of all profits will go to the campagin! Details are HERE. Get a $10 Sticky Rice gift certificate for 50% OFF(!) and the entire $5 you spend will be donated to helping us reach our goal! Get this amazing deal now HERE. And of course you can always just support us directly via Kickstarter HERE. 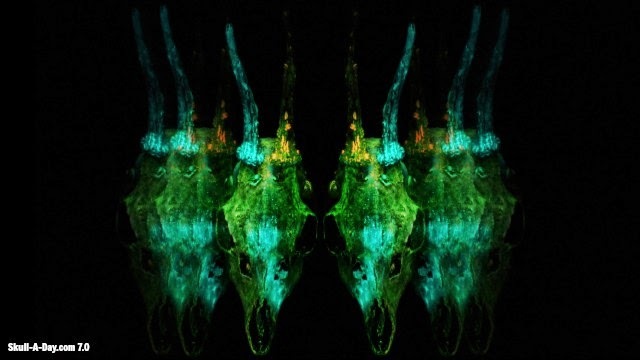 Vincent Lentzsch painted two deer skulls with glow in the dark paint and powder, then used them as props for photos. Some of these resulted from photo tricks and others for Photoshop. 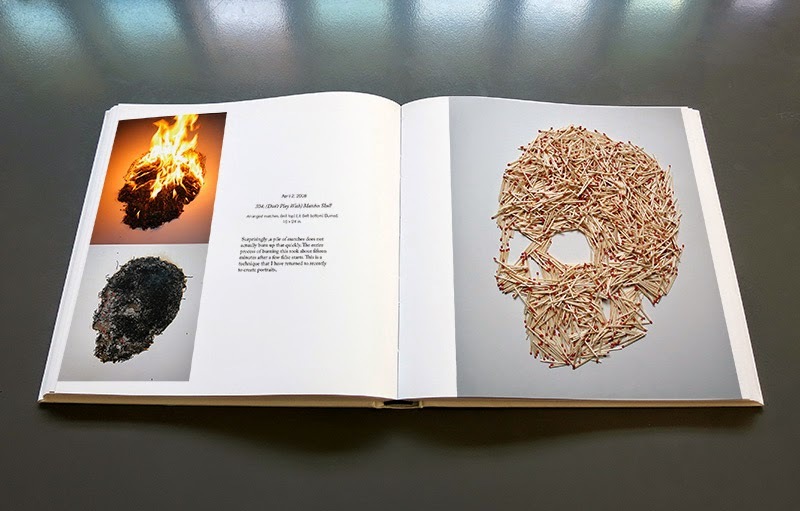 We get a lot of photographs of skull artwork, but very few that are artwork themselves. 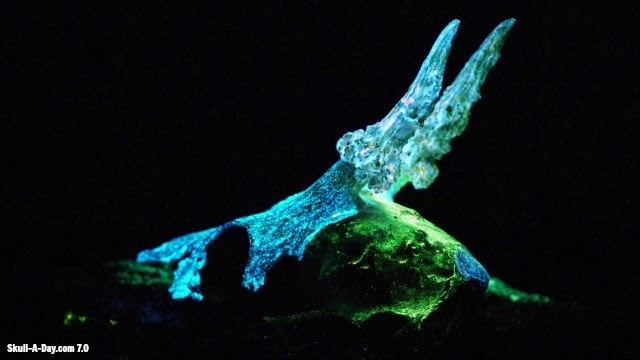 I love bioluminescent creatures. 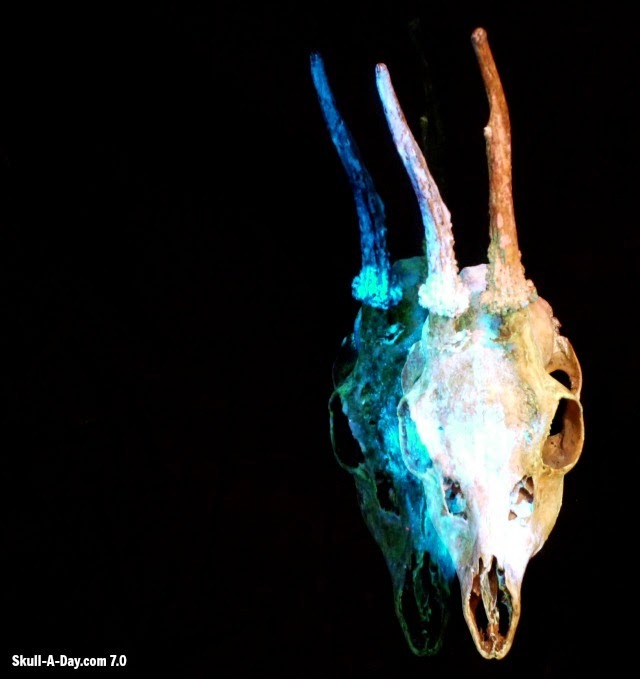 While deer are not naturally, it's magical to see a glowing skull of one. One of my favorite things is to discover how people have used the things I've given away for free on this site. 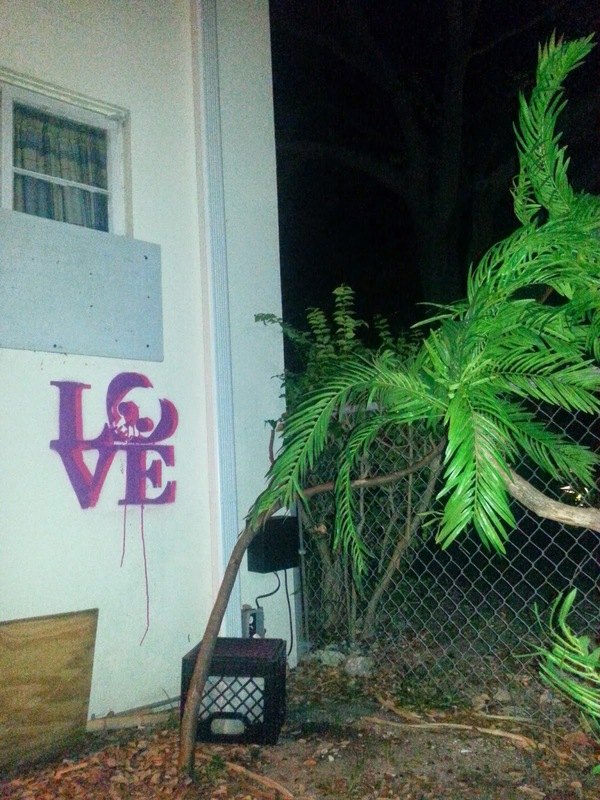 Recently I developed an Instagram friendship with Registered Artist after I discovered that he had created a stencil out of my Psychedelic Skull. 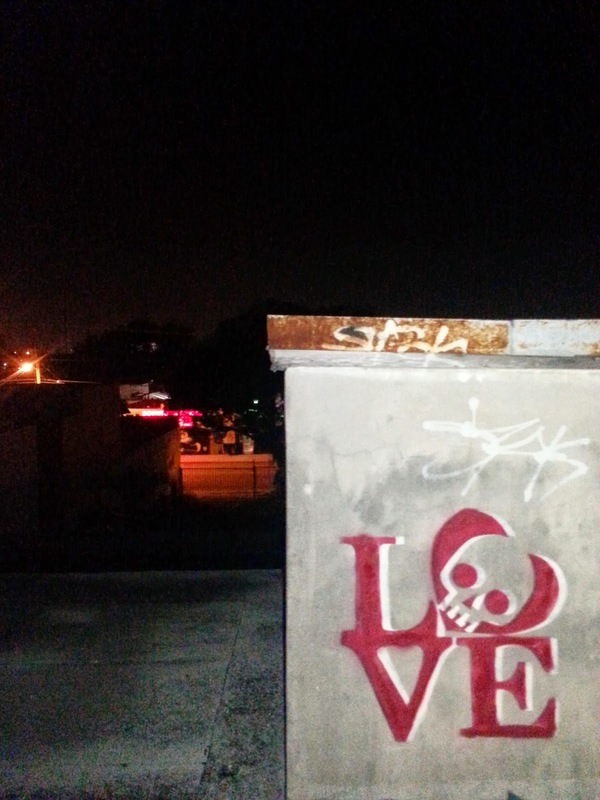 This week he shared a couple of shots of another stencil based on my work. It's an image I created to promote Skull Appreciation Day 2012 in Philadelphia, which you can download as a free stencil to use yourself HERE. He's painting it support my currently running Kickstarter to created a book of all 365 skulls from my original project! If you haven't already please check it out HERE. And see more of Registered Artist on Instagram HERE and Facebook HERE. You might recall that a few months back, Tim Tindall, shared his painting "Beauty in Darkness". 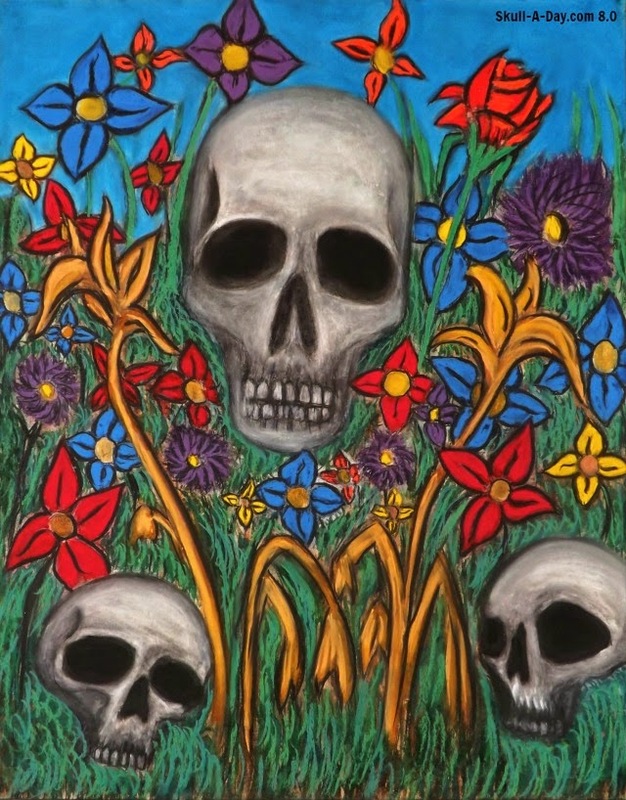 Since then, he's reworked the painting, adding more depth to the skulls and foliage. As an artist, I totally understand going back to a piece and redoing parts of it. Often I stare at a piece for days, to the point of being dissatisfied with it, even though others like it. It's a classic issue for artists to deal with. Thankfully, if you walk away from it, you can often go back and resolve your personal problems with it. I love both versions of the painting, but the darker one does have great depth. On day 10 of my original Skull-A-Day year I made a skull out of the 48 continental United States, a couple of years later I made an updated version out of all 50 states. 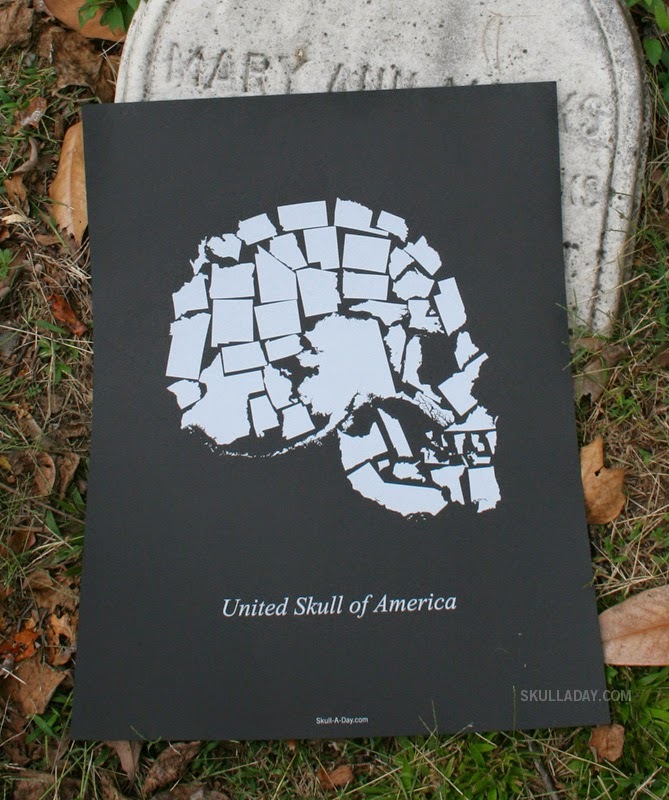 Today I gave a poster of that version of The United Skull of America to William Fox Elementary school as part of a 5th grade graduation speech I gave this morning! Would you like to have your own copy of this poster? It's one of the Kickstarter rewards for supporting the creation of a new book of all 365 skulls from Skull-A-Day year 1! Get the details HERE. 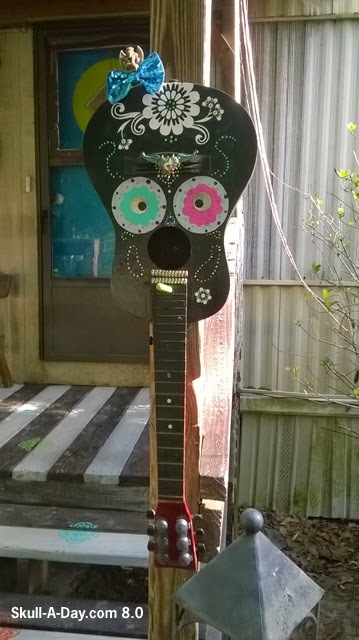 This wonderfully upcycled guitar turned sugar skull birdhouse is from Alexie Rutledge in Texas. 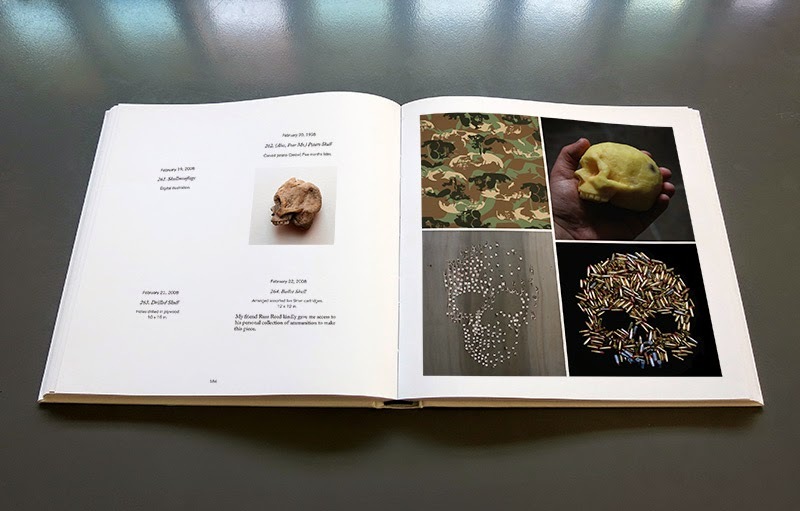 We love seeing items being repurposed, and if it happens to promote skull art then it definitely catches our eye. Thanks for sharing this, Alexie! 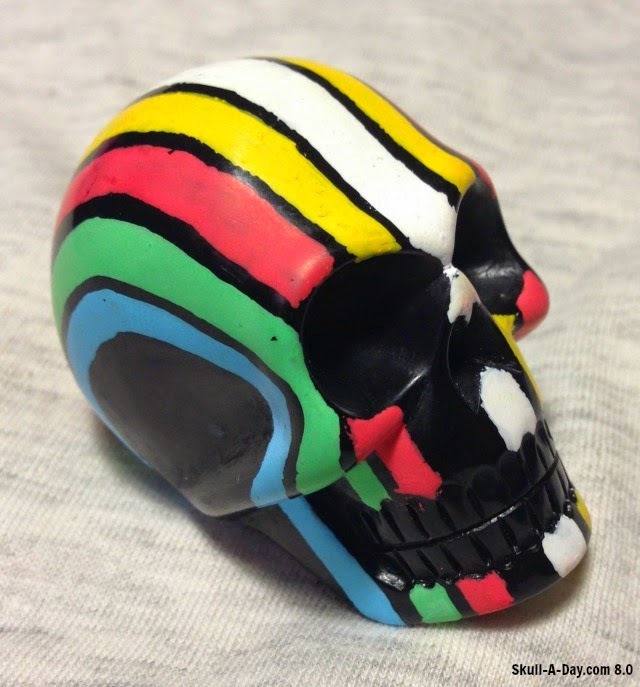 These papier mache skulls are molded by the hands of Ashley Pridmore. 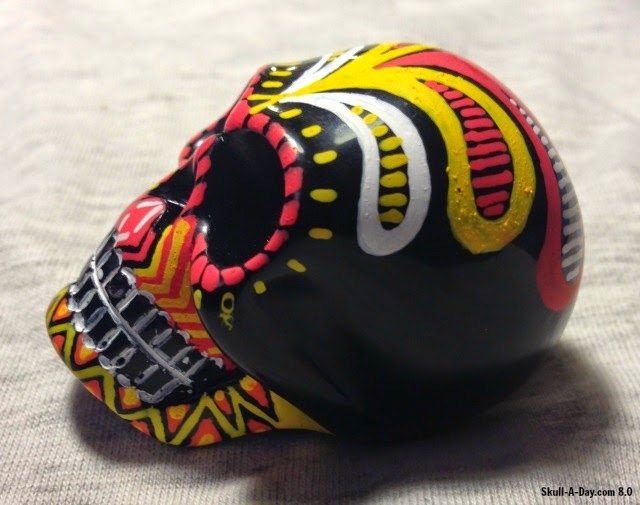 Her skillful crafting allows her to create these super realistic skulls. Her other works include various animals made from metal and found objects. Thanks for submitting these, Ashley! 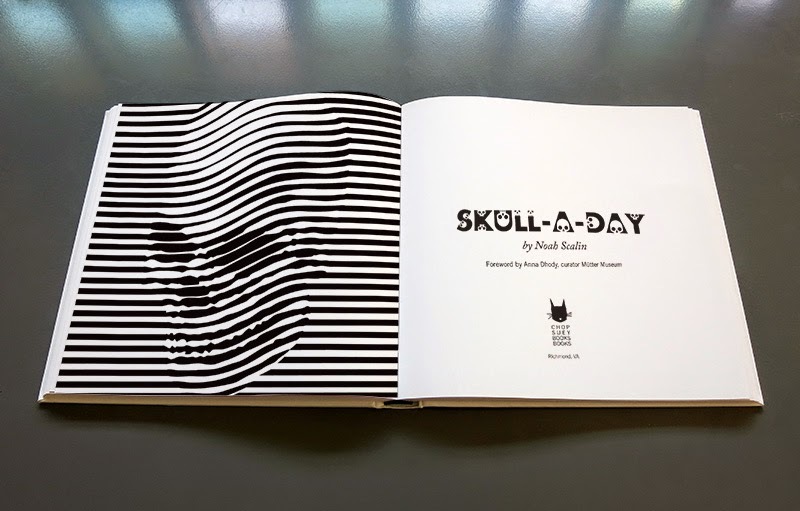 Skull-A-Day The Book: Laser Edition! 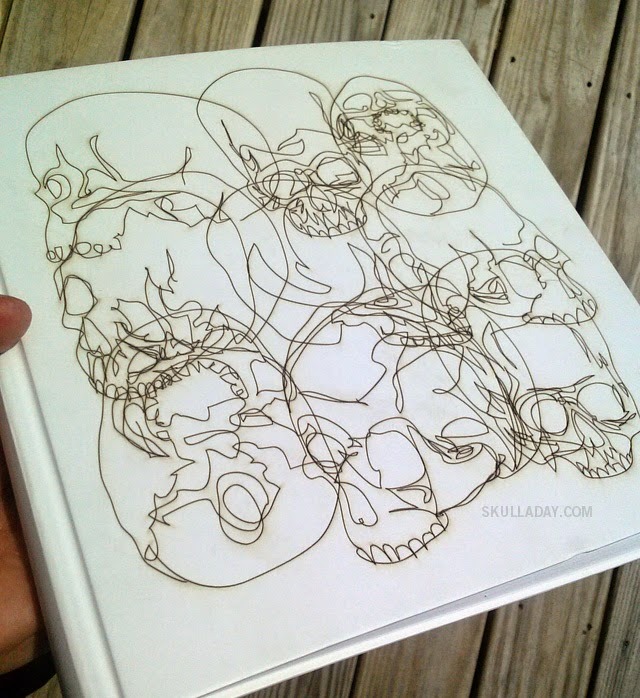 Just had to share this sneak peek at the amazing limited edition laser etched cover that is being made by BIG SECRET for the forthcoming Skull-A-Day book featuring all 365 of the skulls I created for year one of the project. This is an exclusive reward of the Kickstarter that is going on right now, so if' you'd like a copy don't wait! The details are HERE. Gurt Swanenberg, from The Hague, Holland, is "working on a project that depicts a modern version of the classic theme "Seven sins". I'm handpainting skulls or skeletons of animals or humans that symbolize a sin in iconographic art. 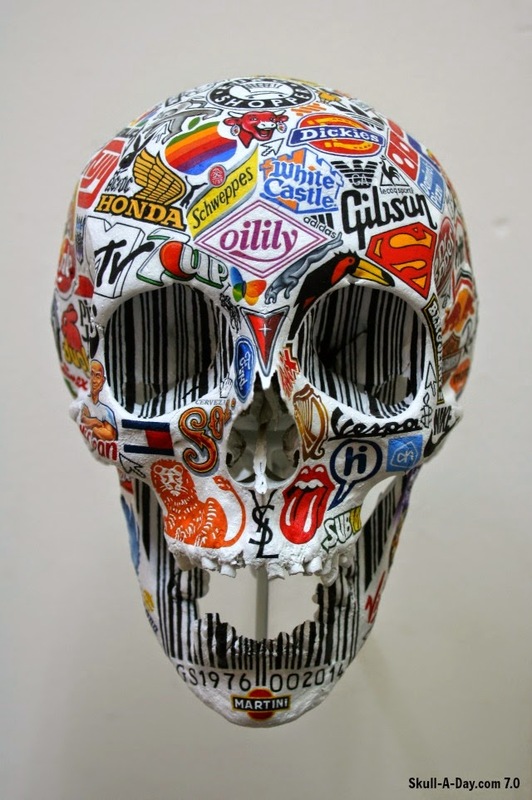 The skulls are painted with modern day brands that refer to the sin." This piece is titled, "Peccator". I like the juxtaposition of skull and logos from consumer goods. This is an unusual way to use skulls in artwork, but reflects the death of our independent society when we're buried in mass consumerism. You can see more of this collection, on his website. Jules Andrault is a graphic designer from Paris France. 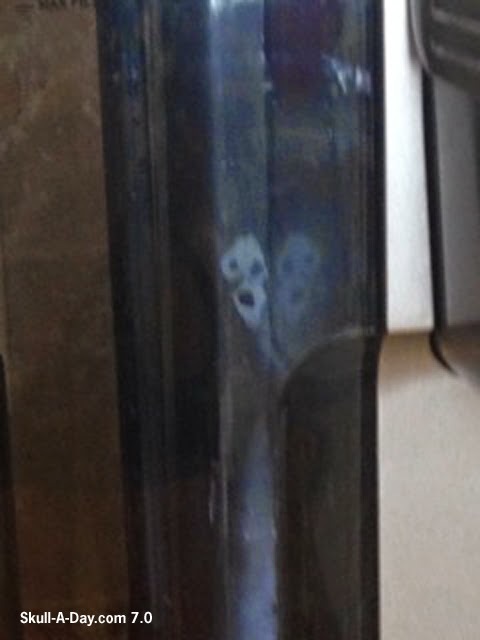 He has been painting intricate designs on skull door handles. 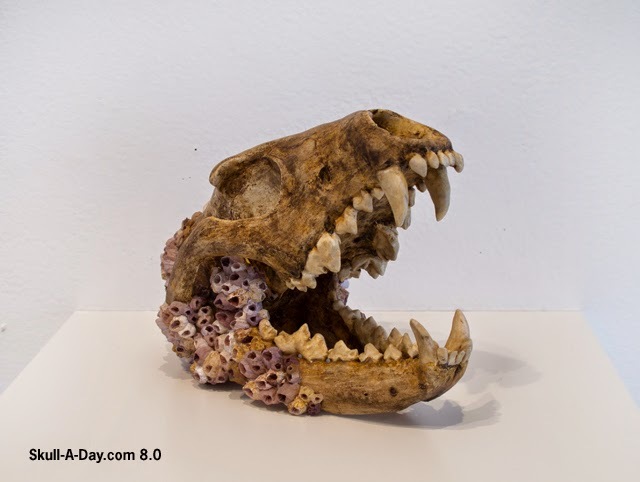 He has been making resin mold of human and animals skulls to have customized and bigger skulls. 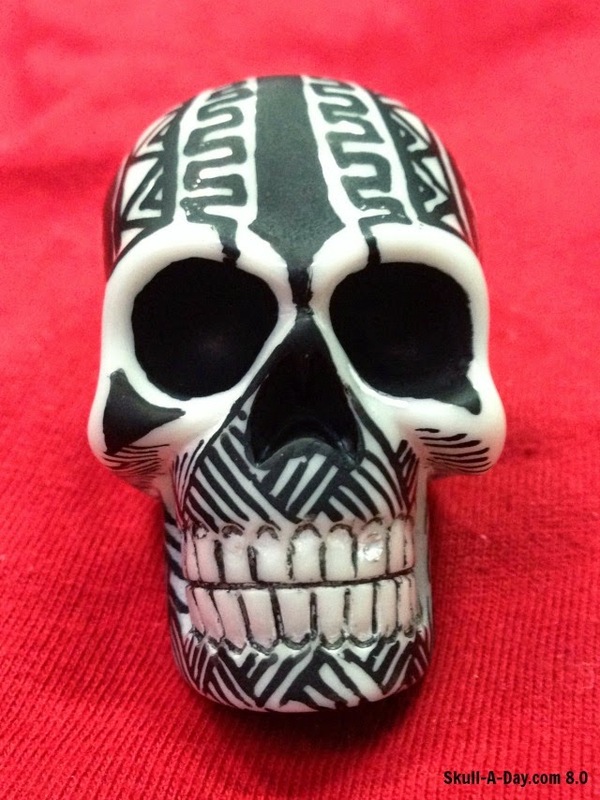 He is drawn to skulls because of a family fascination for them. I don't normally post artwork made with existing skulls, but these were exceptional pieces. I picked my four favorites from the ones Jules submitted to us. Looking forward to seeing this concept on a larger and more custom scale. 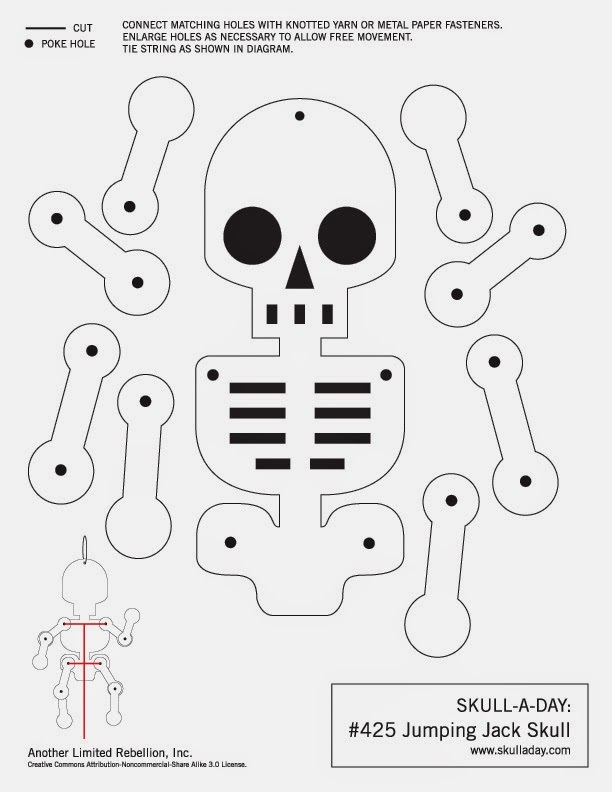 Simi Warah made this button skull for a fabric sketch book. I'm partial to any art involving sewing. This skull uses the variety of white buttons and tulle in a smart way to define the skull shape. A fabric sketch book isn't something I see often. You can see more of Simi's work on her blog, Buttons and Paint. 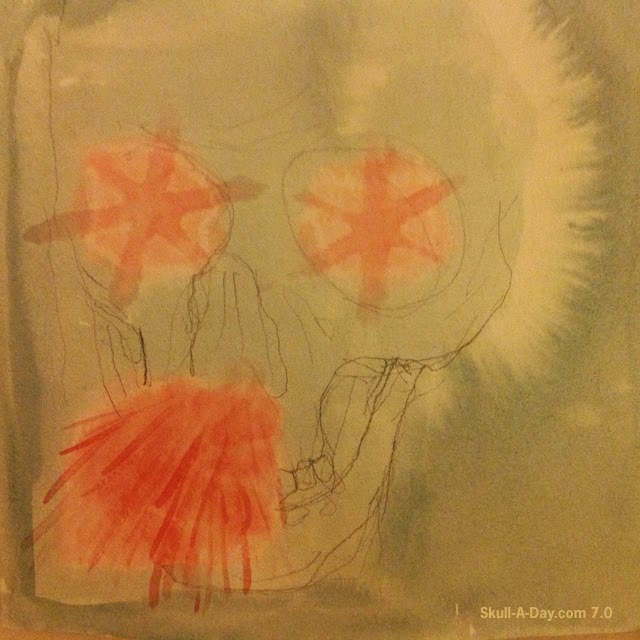 A few years back we decided that our love of skulls should be shared by everyone so we designated, today, June 4th (the day the original Skull-A-Day project launched in 2007), as Skull Appreciation Day! 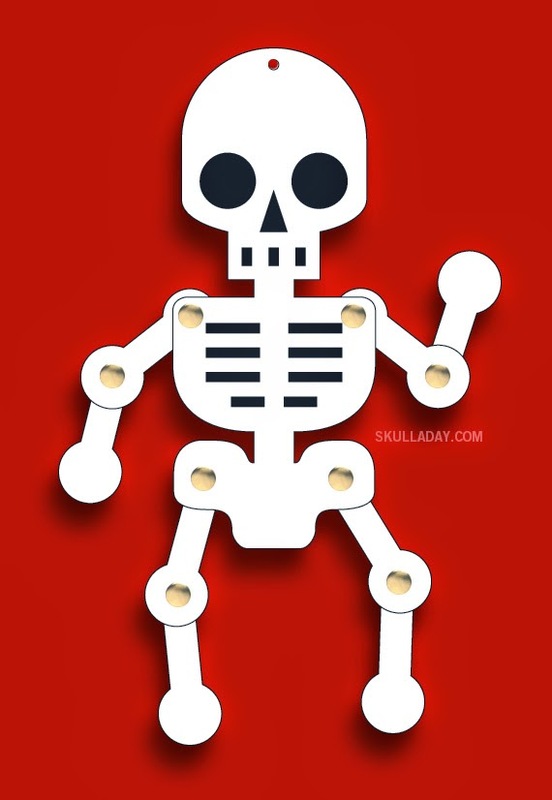 It's a jumping jack that will flail his arms and legs if when you pull his string. There are some basic instructions to follow, but feel free to modify and customize as you see fit. Please download, print, enjoy, and share! Get the PDF HERE. We'd love to see what you do with it. So please take pix of the results and send them in to us and of course we'll share them here (and on Facebook, Twitter, Google+, and Tumblr). 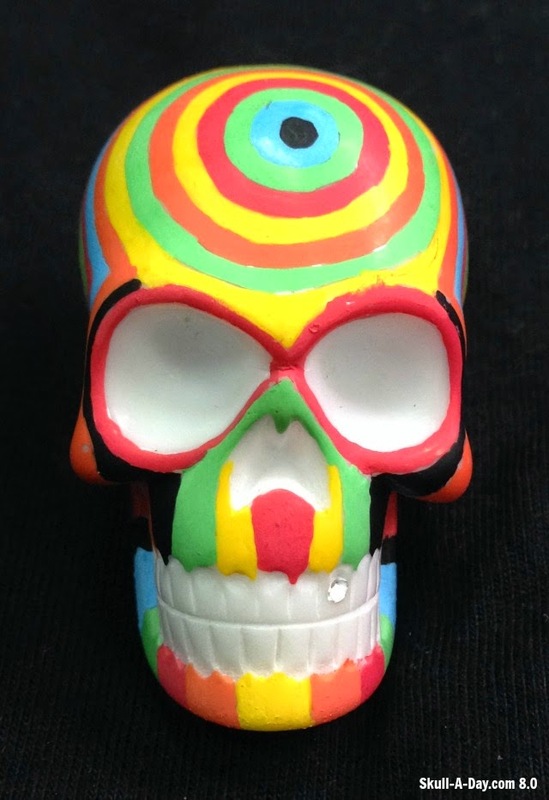 Happy Skull Appreciation Day from all of us at Skull-A-Day! Don't forget to show your own skull some love today! 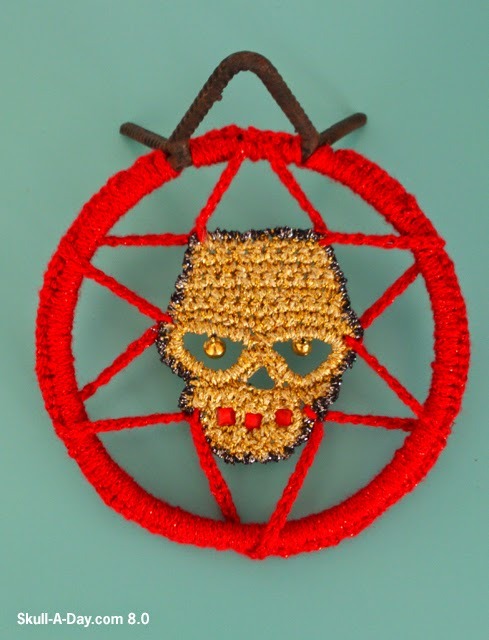 This baroque crocheted skull is brought to us by Espe Cialidades. This "pendant" looks like it could have been the emblem of a great and powerful Barbarian or an all powerful evil wizard. The look on the skull definitely bodes danger. Thanks for the submission, Espe! 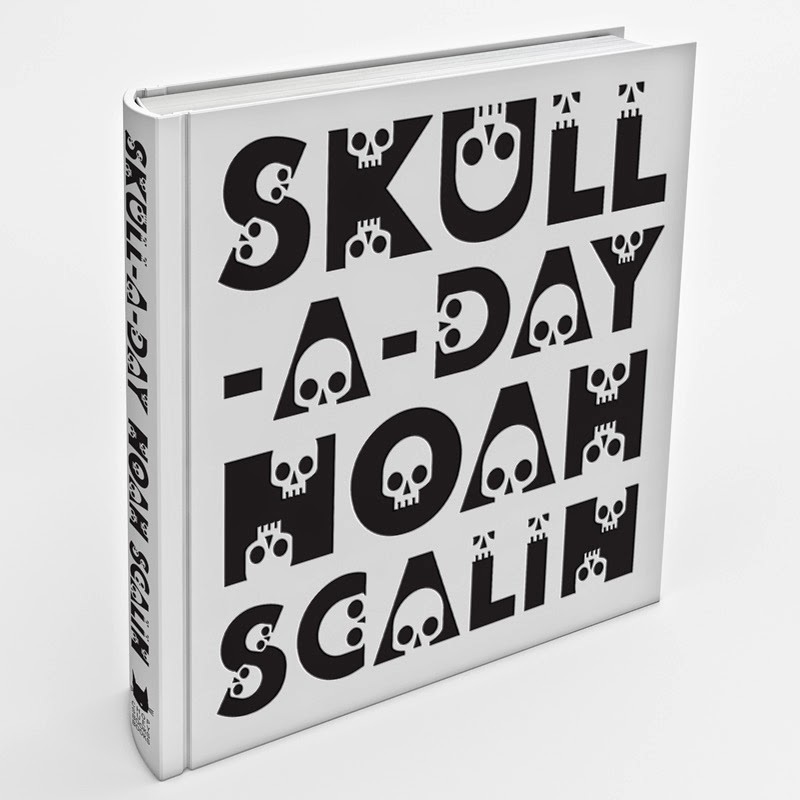 Help make the ultimate Skull-A-Day book a reality! 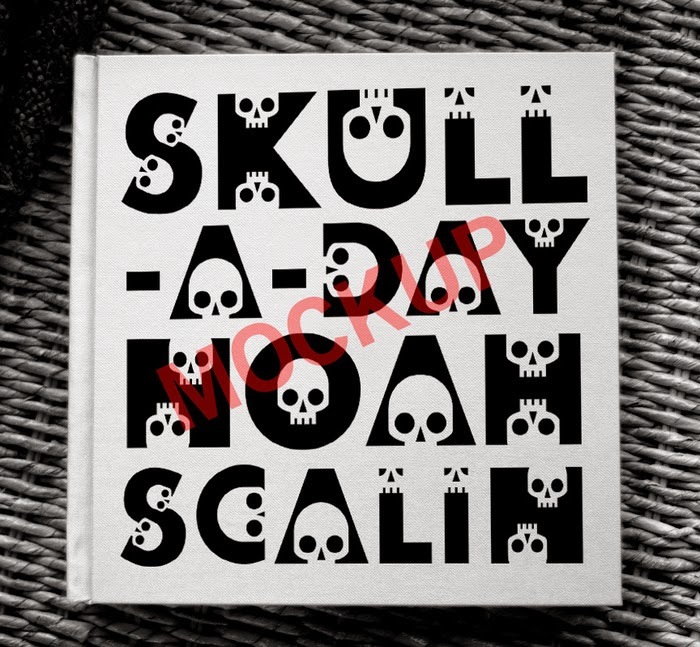 At long last there is going to be a book of the entire original Skull-A-Day project. 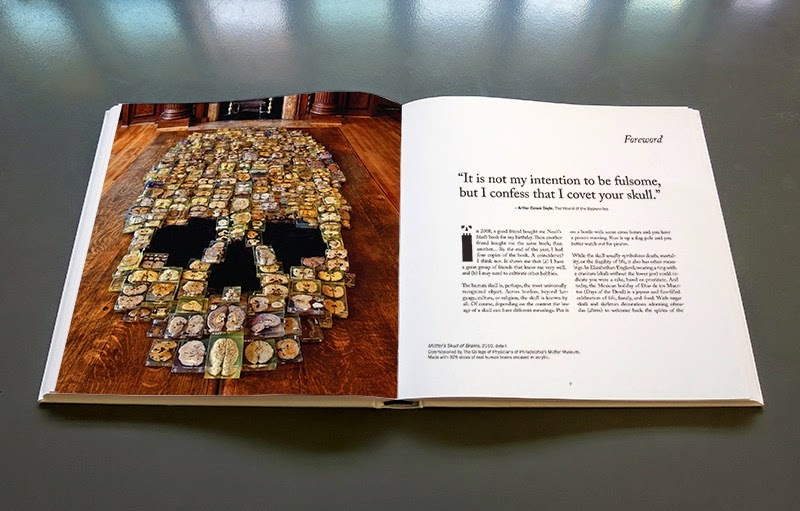 All 365 skulls that I made starting in June of 2007 will finally be in one beautiful hardcover volume, but it'll only happen with your help! Read more details about it HERE. If you want to guarantee that you get a copy of the first edition of this book you need to pre-order this month! And please spread the word, the more people that know about this the more likely we will be to succeed in reaching our goal. Thank you! RJ from Toronto sent us this image of a skull with an anterior epistaxis. This is, as RJ describes, "a water color that began as three red flowers on a field of green leaves, then it was rinsed under the kitchen tap to soften the outlines and was laid on the counter to dry overnight. It was the next morning when I began to think it seemed like two glowing red eyes in a skull with a nose bleed, which it became with some more red paint and pencil." Glad to see you converted your simulacra into the tangible. Thanks for sharing it, RJ! Robyn Rivers from Fayetteville, TX, took photographs of sunset and storm clouds. 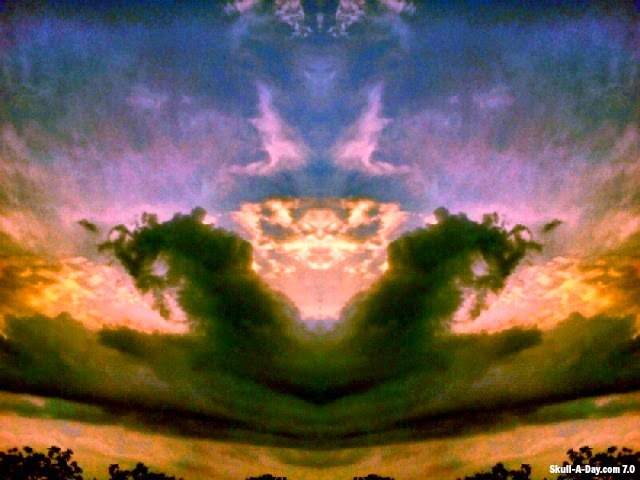 She manipulated them with symmetric fx and skulls appeared. I take lots of nature photos, and often of the sky. 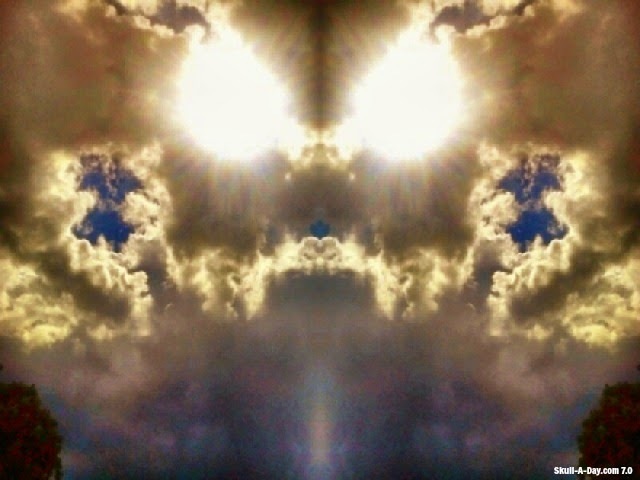 I rarely see a skull in the sky, but these photo manipulations give me an idea to play with future photos. Robyn's photos are gorgeous with or without the skulls. Today's simulacrum was found brewing in Tracy Durden's Keurig coffee maker. Hopefully the contents were still safe for consumption. Thanks for sharing your find with us, Tracy! 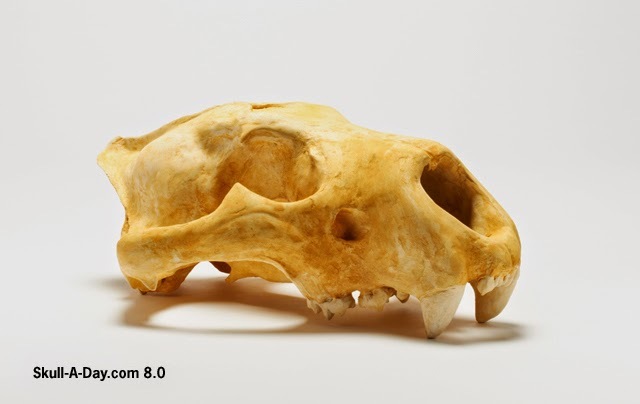 And don't forget that if you capture your own sneaky skull simulacra then be sure to share it with us as well!